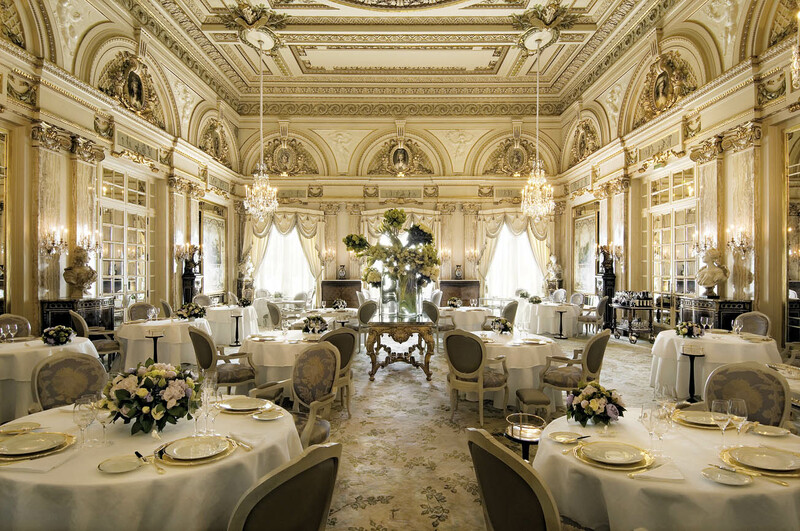 Le Louis XV – Alain Ducasse, Monte-Carlo. In Monte-Carlo, the Louis XV-Alain Ducasse is dedicated to good taste and fantasy. Since its opening, within the Hotel de Paris more than 25 years ago, authenticity and culinary elegance have always been delicately combined. In an elegant room set in light and gold, reminiscent of Versailles Grand Siècle, all the hands on the clocks are stopped on 12 as a reminder that inside this Palace of Pleasure, time is of no consequence. The menu, a Mediterranean and seasonal symphony of a style that Alain Ducasse qualifies in one word as « essential », suggests a wide pallet of exquisite dishes. The wine cellar, filled with 400 000 bottles, is a wine aficionados’ dream. But above all, our chef has ensured that every detail reveals the magic of this incomparable place. A timeless enchantment.